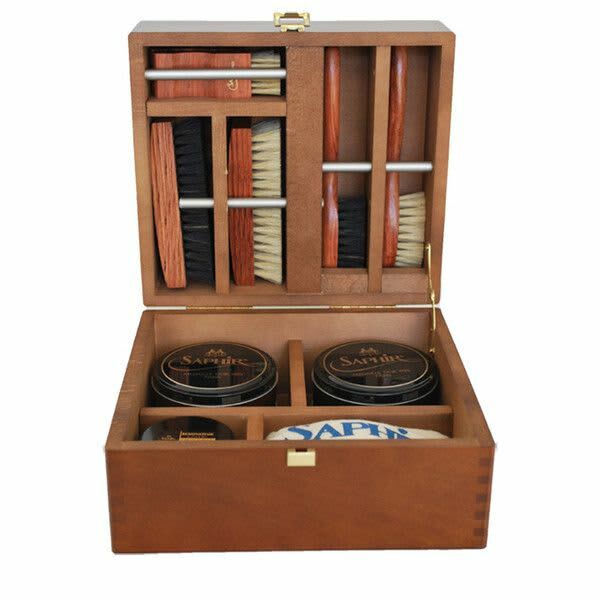 This Saphir Medaille d'Or 1925 valet box is filled with a selection of Saphir’s fine shoe care products to help with each step of maintaining your footwear collection. This luxury box is crafted from exotic wood and features a leather handle and brass clasps. Lissom + Muster in Macclesfield, United Kingdom.